"Polio is only a plane ride away." disease that still threatens children in Africa and Asia (video). 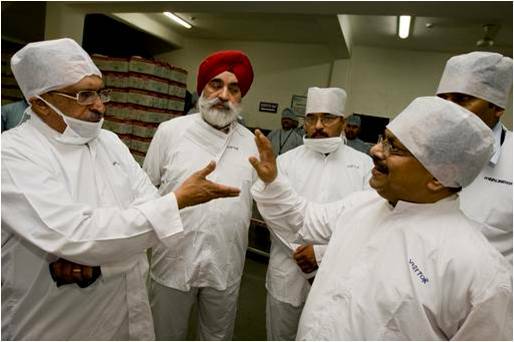 had polio in 1985 – today only four. concert of Rotary International’s efforts to eradicate polio – the Concert to End Polio. preeminent violin virtuosi of the 20th century. 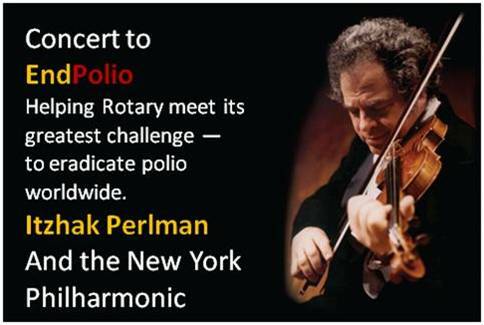 Itzhak Perlman will be featured at the Concert to End Polio in New York City December 2. Avery Fisher Hall, in New York City, on Wednesday, 2 December, at 7:30 pm. View the concert program. Tickets may be purchased online through the Philharmonic. hardest to get,” says volunteer Charlene Hall, as they go door-to-door with the polio vaccine. Moradabad, India. Credit: IPTC/Alyce Henson. © Rotary International. countless volunteer hours to the effort. overcome, but with post-polio syndrome, the body weakens again later. then vice-versa, causing a ping-pong effect. size of Texas – with a population the size of the U.S. Think about that. Half a million babies born each month. each – more than half the population of the U.S.
following three years without the virus. 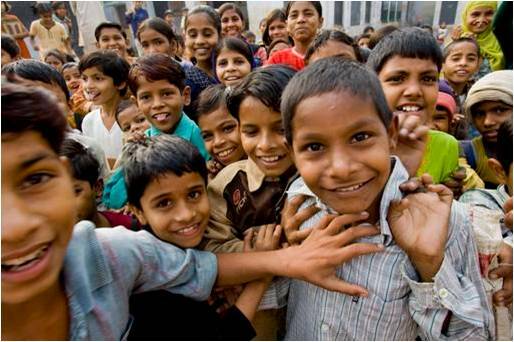 fewer than 2,000 in 2008.
during Subnational Immunization Day rounds. Creator: EXIF/Alyce Henson. © Rotary International. achieve the interruption in the transmission of the wild polio virus. vaccine could hamper fertility in boys. 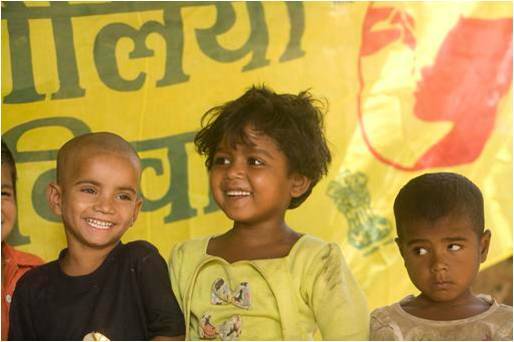 center outside Lucknow, India, during door-to-door polio immunization effort. vaccine message to their congregants hits the mark. immunization to the duties of parents as explained in the Quran. 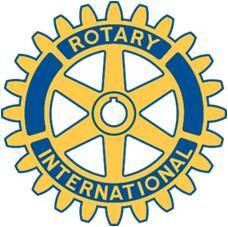 See Rotary Foundation story. color, creed, or political preference. help build goodwill and peace in the world. will be wiped from this plant for the sake of the world’s children. 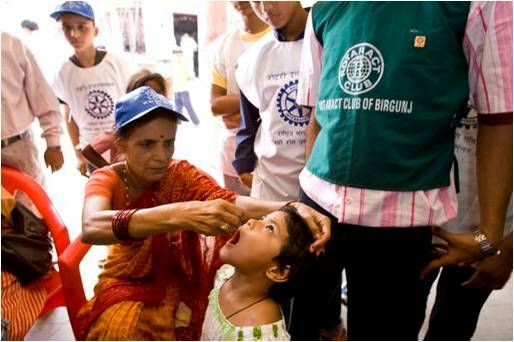 To learn more about polio eradication, visit the Rotary End Polio or Polio Eradication websites. Also, I recommend you see the video from Rotary International President John Kenny. If you can't attend the concert, you can still donate online. View Polio Eradication background sheets by country. Edited by Karen F. Dimanche Davis.